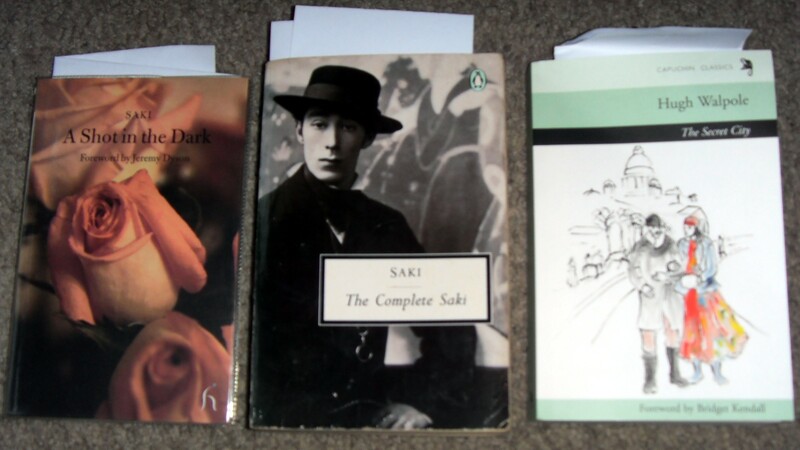 I’ve written about the wonderfully witty Saki on the Ramblings before, back in my early days of blogging. 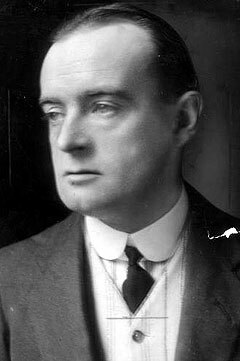 His real name was Hector Hugh Munro, and he moved from foreign reporting to writing his witty tales as the first decade of the twentieth century came to an end. 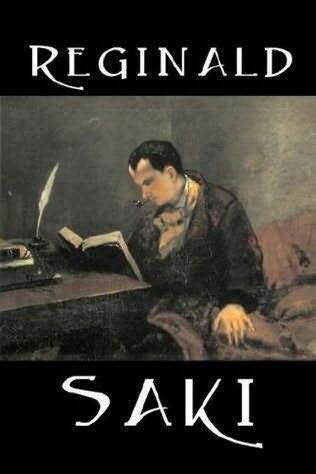 Saki’s first stories were about the escapades of one Reginald, a man about town with a witty tongue, and two volumes of his adventures made their appearance. In this, Saki’s third book, Clovis makes his entrance and has just as cynical an outlook on the world as his predecessor; in fact, it’s tempting of course to see them both as projections of their author! That was the last they saw of Clovis; it was nearly seven o’clock, and his elderly relative liked him to dress for dinner. But, though he had left them forever, the lurking suggestion of his presence haunted the lower regions of the house during the long hours of the wakeful night, and every creak of the stairway, every rustle of wind through the shrubbery, was fraught with horrible meaning. At about seven next morning the gardener’s boy and the early postman finally convinced the watchers that the Twentieth Century was still unblotted. “Who and what is Mr. Brope?” demanded the aunt of Clovis suddenly. Mrs. Riversedge, who had been snipping off the heads of defunct roses, and thinking of nothing in particular, sprang hurriedly to mental attention. She was one of those old-fashioned hostesses who consider that one ought to know something about one’s guests, and that the something ought to be to their credit. “I believe he comes from Leighton Buzzard,” she observed by way of preliminary explanation. I’ve seen Saki described as the person who invented trolling, and certainly Clovis seems a little darker in character than Reginald, who tended to float around being cutting for a lot of the time. Clovis, however, likes to subvert and tends to cause disruption wherever he goes. But the bottom line is that these stories are very, very witty and very, very funny (if you like that kind of humour – which I do!) and Clovis is a worthy successor to Reginald. This edition of the “Chronicles” has been issues by Michael Walmer, who kindly provided a review copy; and it comes with an introduction by A.A. Milne (who was not averse to turning out a bit of wit himself!) 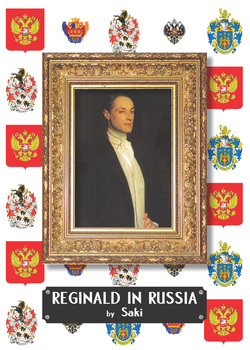 Mike has also issued editions of “Reginald” and “Reginald in Russia”, all of which are great delights to read. I’m obviously a huge Saki fan; and if you like your humour more Wildean that slapstick, then Saki is definitely the author for you! Well, I did promise book pictures, didn’t I? And so here they come… I happen to be blessed (or cursed) with having a birthday quite close to Christmas so the gifts double up at this time of year, and despite everyone’s best intentions, there are always books! As for Christmas… well, here are the bookish arrivals…! Next up a few treats from J. She reminded me when we met up recently that it was actually 35 years since we first met (gulp!) and she knows me and my obsessions and my reading habits well. These were wonderful bookish choices – an Edmund Crispin classic crime novel (can’t go wrong with Gervase Fen), a Sacheverell Sitwell set in Russia, and a marvellous sounding book of pastiches which has already had me giggling – these humorous books are obviously putting the merry in Christmas this year! Life is rather getting in the way of reading at the moment and I’m finding it impossible to get through decent sized books – just a little too tired and busy I suppose. So I decided this would be a good time to pick up some Saki, as his pieces are lovely little bite-sized chunks, easy to get through when you need to read something but haven’t got long. I hummed and hawed a bit and then decided I would read through the Complete Saki volume in order, so the first set of stories I tackled were the “Reginald” tales. Not only does this remarkably clever and funny piece of writing give you an instant picture of Reginald, it also demonstrates Saki’s wonderful way with words. He’s a master of the vignette, able to convey so much in such a short space of time and his pieces are a joy to read and very, very witty. Although the tales might appear superficial, many of them are actually surprisingly pithy with a harder core of comment than is obvious at first. Many have pointed little observations of the human condition and the wit is remarkable. Reginald attends social events, pontificates on life and politics, scandalizes aunts and generally refuses, without confrontation, to be anyone else but himself. The second volume, “Reginald in Russia” follows straight after this one and although the title character doesn’t feature in all the stories I’m still very much looking forward to them. Saki may be an acquired taste, as Noel Coward opines, and if so I’m very glad it’s one I’ve acquired! I have to say that Hesperus books are just so beautifully produced – always with useful introductions and biographical information. This volume contains uncollected Saki in the form of mainly short stories plus a play and a letter home. 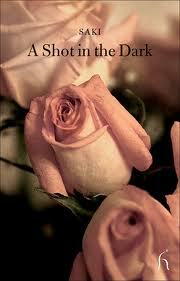 I was hooked instantly – Saki writes wonderfully; very lovely but concise prose, readable, witty and extremely enjoyable. There’s a real art to short stories, to be able to get your character down in just a few words, and Saki does that so well. The stories are also very funny and often have a sting in the tale which is a real delight. I particularly loved “The Pond” which sent itself up beautifully. It’s obvious that Saki was a real talent and had an amazing imagination – some of the characters are Wodehousian, but there is a sharp edge to the storytelling which I enjoyed and made the stories stand out for me. So am I ready to embark on the complete works? Well, yes – I think I will split it up a little so that in effect I read one volume at a time, as I’d hate to become jaded with them. 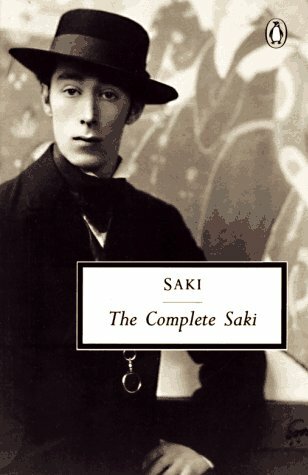 It’s such a shame Saki didn’t survive the First World War – his commentary on the Roaring Twenties would have been something to hear! Anyway – since all of Saki’s work (bar one volume) is available in a collected volume it wasn’t too hard to find a reasonably priced pre-loved copy. Also, the one volume mentioned is a Hesperus so that had to be tracked down too! The third volume came about by nice people on LibraryThing mentioning reprints by Capuchin Classics. A quick search on their website threw up Hugh Walpole’s “The Secret City” – set in just pre-Revolutionary Russia, it sounded right up my street. So these are latest acquisitions – now *what* do I read next?!? !